This great read comes recommended by our National Church Partnership Director and co-host of Q Place’s Walk the Way radio program, Jeff Klein. Jeff was given a copy after leading a workshop on The 9 Arts of Spiritual Conversations. 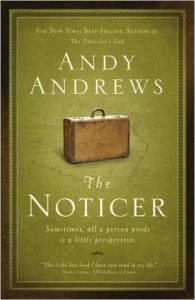 Obviously in step with The Art of Noticing, The Noticer is part auto-biographical, part fiction, and flat-out inspiring! 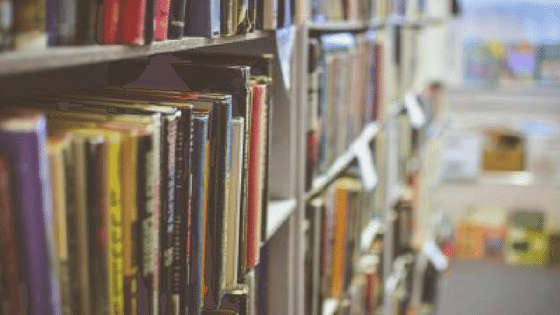 The book is the story of “Jones,” a mysterious white-haired old man who “just so happens” to show up at just the right time in people’s lives. And he’s a noticer–he notices stuff that they miss–thereby providing the one thing many of them need: perspective. You might say that Orange Beach, Alabama, is an ordinary town, with ordinary people. Simple, good people. And, like most people everywhere, their goodness doesn’t dispel their problems. Orange Beach has its fair share of poverty, failing marriages, struggling businesses, and lost dreams. The future seems shaky at best. And in reading the book, you begin to believe that they actually do, as Jones endearingly speaks to that part in everyone that wants to understand why things happen and what any one of us might be able to do about it. The New York Times called Andy Andrews a “modern-day Will Rogers who has quietly become one of the most influential people in America.” An internationally known speaker and novelist, his combined works have sold millions of copies worldwide. He has been received at the White House and has spoken at the request of four different U.S. presidents and is the New York Times best-selling author of The Traveler’s Gift, How Do You Kill 11 Million People? and The Noticer. Andrews lived a relatively normal life until the age of 19, when both his parents died — his mother from cancer, his father in an automobile accident. “I took a bad situation and made it much worse,” Andrews says with a rueful smile, referring to choices he made during this tragic period of his life. Within a span of several years, the young man found himself literally homeless (“before that was even a word!” he says), sleeping occasionally under a pier on the Gulf Coast or in someone’s garage. It was then that Andrews asked the question that would focus his search for what would ultimately affect millions of people. The question? Is life just a lottery ticket, or are there choices one can make to direct his future? Exploring this and other questions has lead to his career as delightful author and speaker. You can follow Andy Andrews on Facebook.